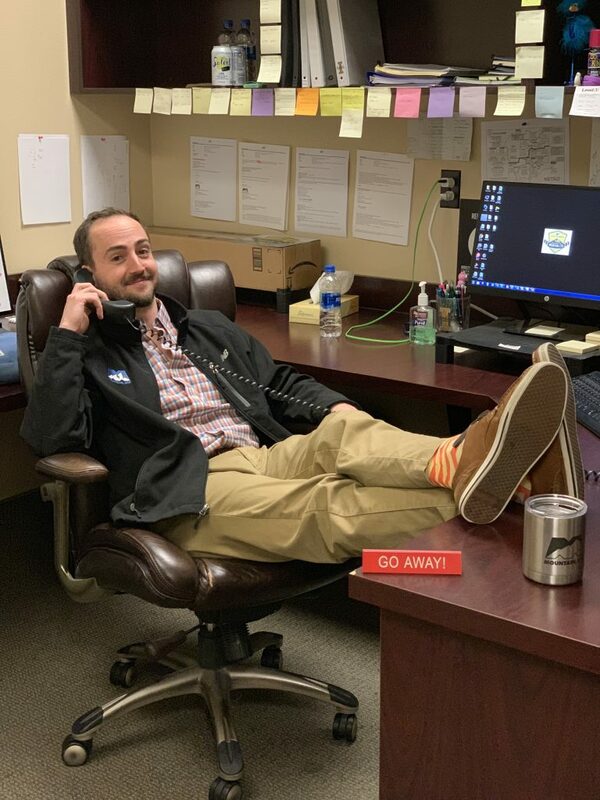 Employee Spotlight: Brady Coyle - MOUNTAIN, LTD.
For the month of April, our employee spotlight is on Brady Coyle. Brady has been with MOUNTAIN for 3 years and works as the Regional Training Director in the Boise, Idaho office. He is an expert in our client systems with an outstanding ability to train new members of our team on those systems. Brady is one of the people who make MOUNTAIN special, allowing us to offer in-house specialty training on proprietary systems; something that makes MOUNTAIN unique. Brady’s sense of humor keeps everyone in the Boise office with smiles, as is apparent in his interview. 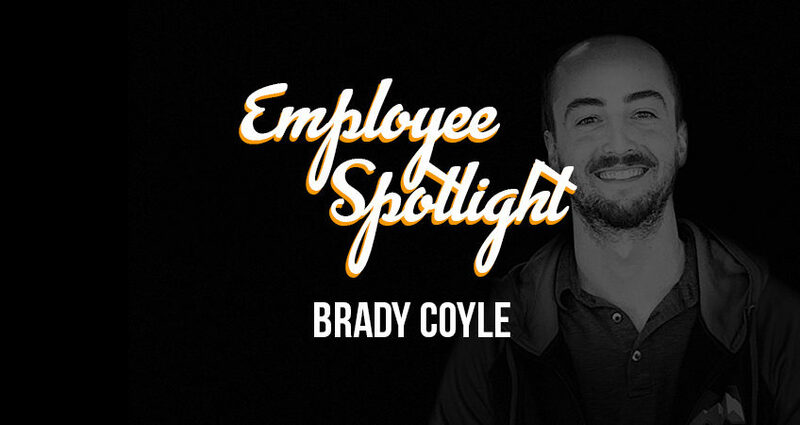 Learn a little more about Brady Coyle. How long have you been working at MOUNTAIN, LTD.
I’ve been working at MOUNTAIN, LTD. for three years now. I work from our Idaho office and yes the potatoes are fantastic, thanks for asking. What position/s do/have you had at MOUNTAIN? My title is Regional Training Director, which I suppose is slang for helper guy. The people, hands down. But everyone probably says that so I will say my favorite thing is working for a company that I can help shape and actively influence on a day-to-day basis. I enjoy helping others and offering engineering guidance. I feel like I’m contributing to the greater goal, which is constructing a workforce that is able to tackle all the needs of our customers. I don’t like to measure my achievements on an individual level. So I’d rather choose to mention being involved in a large scale fiber-to-the-home project which was a tremendous achievement for our entire company. There was a ton of information to learn in a little amount of time with lots of visibility. The sheer volume of work performed by our engineers was nothing short of astonishing and for that I would consider this a team highlight which I was proud to be a part of. The opportunity to grow a team that I’ve been involved with from the ground up has been a direct result of working at Mountain. Developing a handful of team members to a full-on workforce in a short amount of time has been pretty remarkable. A typical day would include providing support to engineers, both local and remote, answering any questions ranging from engineering direction to IT technical issues, quality control to help deliver high-end product for our customers, training individuals telecom design, offering immediate feedback on jobs facing short timelines, all while tracking workflow in/out of our office on a daily basis. See above, but add in I ate a sandwich. I never like to say never, but I would say I’ve learned how rewarding it is to train an individual in a technical skill that they can excel in. Giving someone the opportunity to achieve something great is both fulfilling and humbling. A few years ago, I had the opportunity to travel to Maine and visit our team at headquarters in New Gloucester. What a cool place! I participated in the team building Survivor challenge which was a lot of fun. I had the chance to visit downtown Portland as well. Everyone treated me with open arms and were genuinely nice people to be around. Top to bottom, the people are the lifeblood of this company and to meet everyone back in Maine was great. Sports. Often on weekends, you can find me on a pitch or baseball diamond. My wife and I are willing to challenge anyone on the tennis court. My family. I come from a tight knit group including my parents, six siblings, ten nieces and nephews, most of which reside in Boise. Aunts, uncles and cousins have relocated to the Gem State in recent years making family get-togethers a weekly ritual. Just spending time with my two daughters. You can’t beat that. This question is merely impossible to answer. I grew up watching Top Gun religiously so that holds a place. But I’d have to say The Matrix. Dodging bullets? C’mon. Thank you for all that you do, Brady!